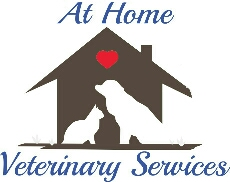 For the comfort and convenience of you and your pet, we are very excited to offer a wide variety of veterinary services in your home! Instead of bringing your pet(s) to the clinic, you can have a skilled Veterinarian and Technician travel to you! We offer most of the services you would receive in a stationary clinic right in the comfort of you home. Skip the trip to the clinic and call to schedule your in-home appointment today - 231-652-1681!